Cebu Province composed of 6 districts and 1 component cities. 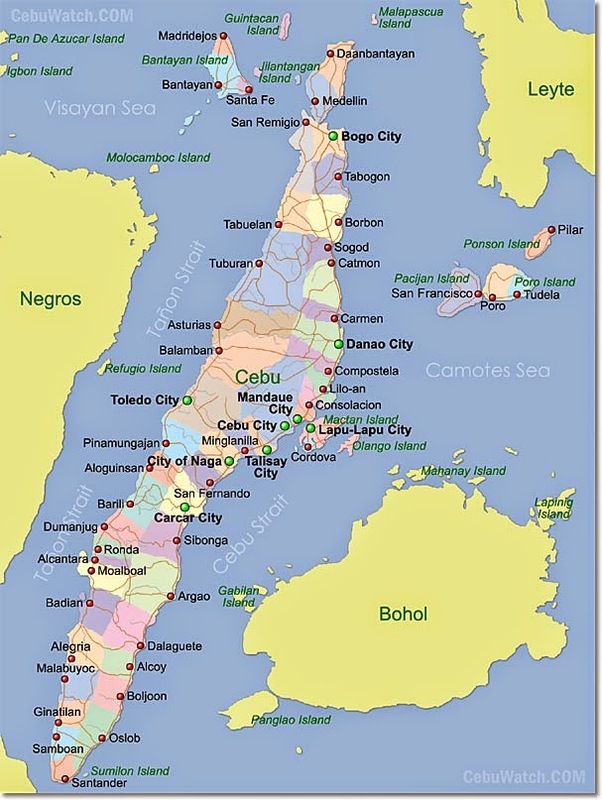 Cebu has 53 Municipalities and Cities. See also the List of Dates of Fiesta and Festival in each municipalities and cities. List of Municipalities and Cities in Cebu, Philippines - according to district.